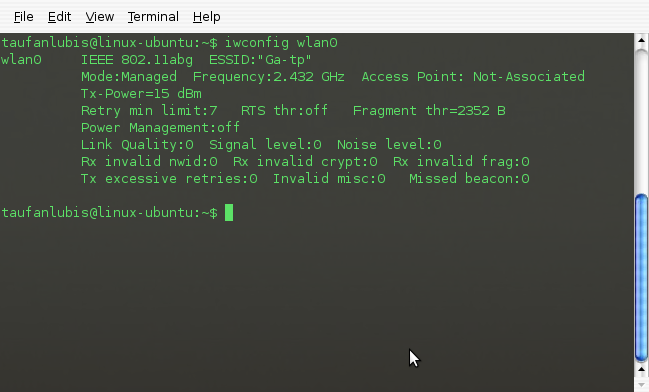 For details, just type ‘info gcompris‘ in your terminal. Need to get 46.8MB of archives. After unpacking 66.9MB of additional disk space will be used. Selecting previously deselected package gcompris-data. Selecting previously deselected package gcompris. You can read the manual from Help menu in the main screen. The document is made under the terms of the GNU Free Documentation License. Actually, the manual was created for Dia 0.5, but you still can use it for Dia 0.96.1. Need to get 3301kB of archives. After unpacking 21.4MB of additional disk space will be used. Selecting previously deselected package dia-common. Selecting previously deselected package dia-libs. Selecting previously deselected package dia. Kivio is designed to run on KDE 3.5.8 but you still can run it on Gnome. 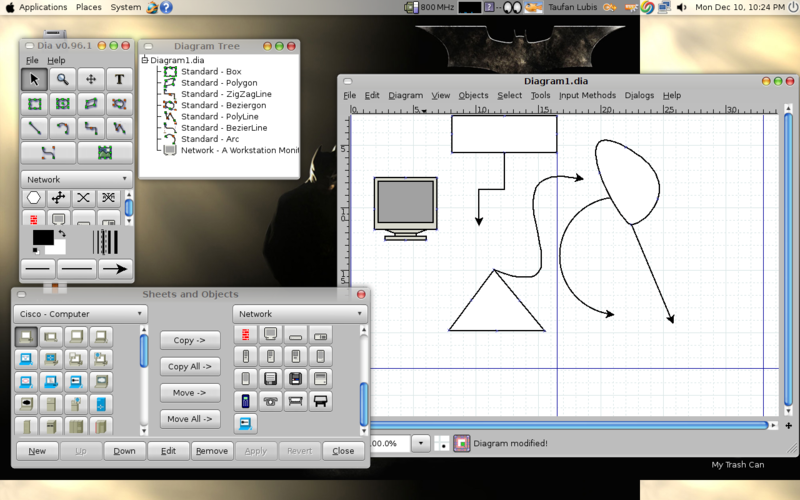 It’s almost the same like VISIO in Windows. The main different that I like is ………it’s free. 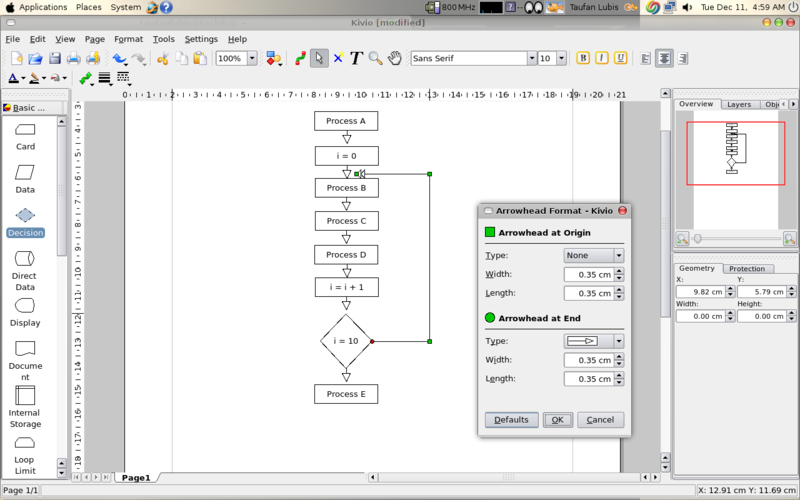 Kivio is a flowcharting program that offers basic flowcharting abilities, but with a twist. Objects are scriptable, and a backend plugin system offers the ability to make objects do just about anything. kivio is already the newest version. Tuxmath is an educational game. It’s almost the same like Tetris, only you don’t have to play with blocks.What you have to do is only answer every question that falls the top. I think it’s a good game to sharp your brain to think fast. 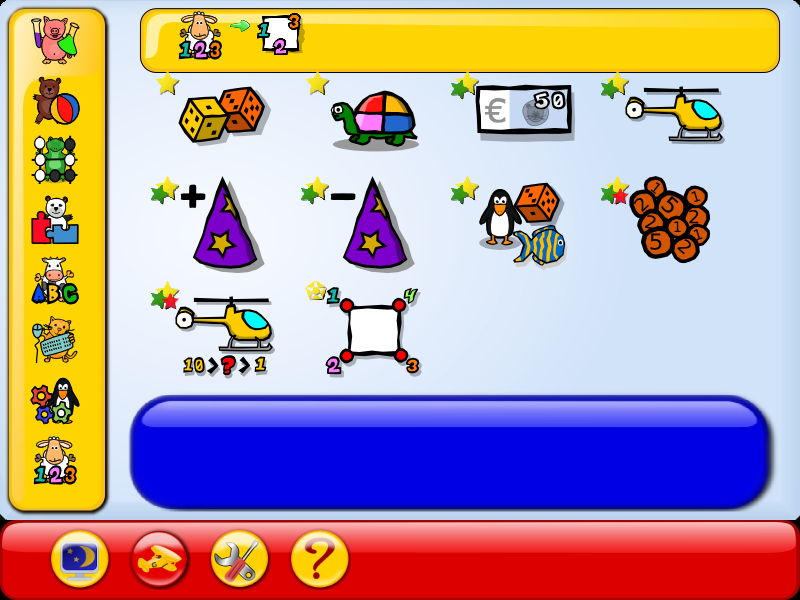 After you install the application, you will get a new tuxmath menu under Applications > Games. Need to get 1421kB of archives. After unpacking 2101kB of additional disk space will be used. Selecting previously deselected package tuxmath. khangman is already the newest version. Learn Calculating with Fraction. 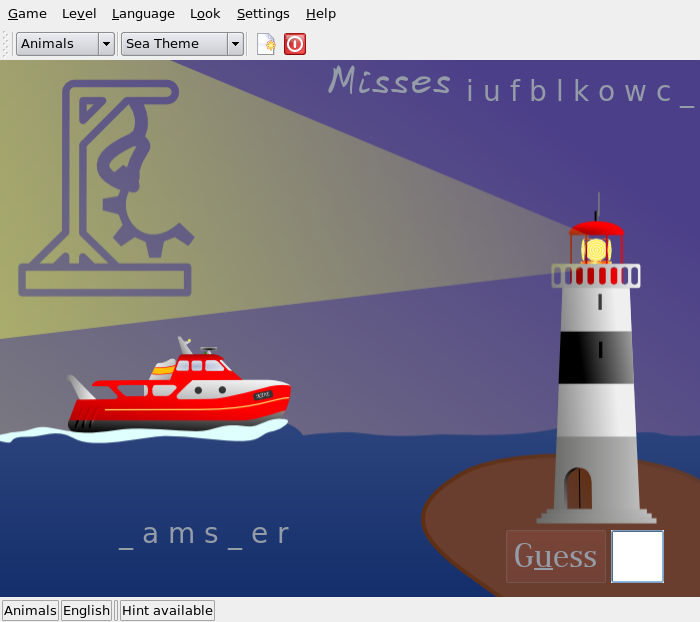 It’s designed for KDE 3.5.8 (can run on gnome Ubuntu). kbruch is already the newest version.